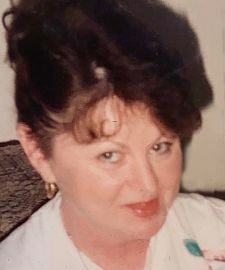 Brenda Marie Booth Craddock, 69, of 503 Thomas Street in Reidsville, passed away March 29, 2019, at her home. Brenda was born August 13, 1949 in Eden, NC, to the late Len and Frances Taylor Booth. She was a former cashier for the local Merita Bread Store. She is survived by her daughter, Danielle Traxler (Todd) of Georgia; grandchildrenBrooke Biolsi (Josh), Erika Ball, Nicholas Traxler, Cali Garnett (Shawn) and Charlie Traxler; great grandchildren, Elizabeth and Bryce; sister, Rhonda Lemons; and brothers, Len Booth (Debbie) and Michael Booth (Betty). In addition to her parents, she was preceded in death by her sons, Kenneth and Rodney.